Don’t let the ice have you slipping and sliding away. According to the National Safety Council, 25,000 slip, trip and fall accidents occur daily in the United States. Nearly all injuries from slips and falls on snow and ice fall under the classification of “traumatic injuries.” These injuries range from minor bruises, cuts and abrasions to serious bone fractures, spinal cord damage and concussions, according to the National Safety Council. “Slipping and falling accounts for a large number of winter-related injuries and can have an impact on the quality of life for the injured person,” said Dianne Endress, an advanced practice registered nurse who sees patients at OSF Urgo urgent care clinics in the Peoria area. “The most common injuries encountered as a result of slipping on the ice are head injuries as well as fractured arms, legs and hips. 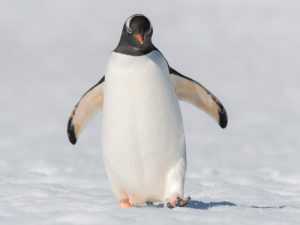 The Farmer’s Almanac, which provides annual weather forecasts among a collection of other useful information, says people who live in colder climates are more acclimated to walking on icy surfaces because they have learned to walk like a penguin. The Farmer’s Almanac also recommends treating your feet by having good winter boots with a large tread or you can wear ice cleats that attach to your shoes and provides gripping power on ice. People should also learn how to fall to prevent seriously hurting themselves. The most important thing, according to the Farmer’s Almanac, is to protect your head. Bones will heal, a head injury can be an entirely different matter and could even result in death.